Redbridge Council to back End Section 21 campaign? 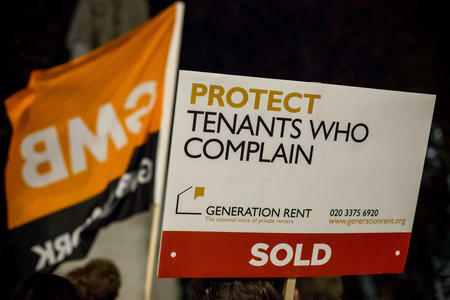 London Renters Union (LRU) await the decision of Redbridge Council as to whether they are committed to supporting the campaign to End Section 21. This motion was sent to them by a member of the Renters Union and is expected to pass tomorrow evening, Thursday 21st March, at Redbridge Town Hall. Section 21 allows landlords to lawfully evict tenants with just two months’ notice and for no reason, after a fixed term contract has expired. These “no faults” evictions were introduced under section 21 of the 1988 Housing Act, and is currently the leading cause of homelessness in the UK. The campaign is supported by LRU, Generation Rent, ACORN, Tenants’ Union UK, and the New Economics Foundation. The motion to back the ‘End Unfair Evictions’ campaign is being proposed by the Cabinet Member for Housing, Farah Hussain, a Labour councillor and private renter. It is likely to get the backing from the rest of the Labour group, who have a large majority on the council. “Given that Redbridge has the 4th highest eviction rate in London, we hope this encourages councillors to make the council the seventh in London to back the End Section 21 campaign,” says an LRU spokesperson. “This would put more pressure on the government to get rid of this cruel and unnecessary policy and instead give renters more security and a place to call our home. We urge private renters in Redbridge to join us in holding the council to account on this decision and to make sure they support us against a housing system that is rigged in favour of landlords.” Join us tomorrow, Thursday 21st March before the meeting at 6:30pm outside the Redbridge Town Hall for a photo to mark a step to end Section 21.